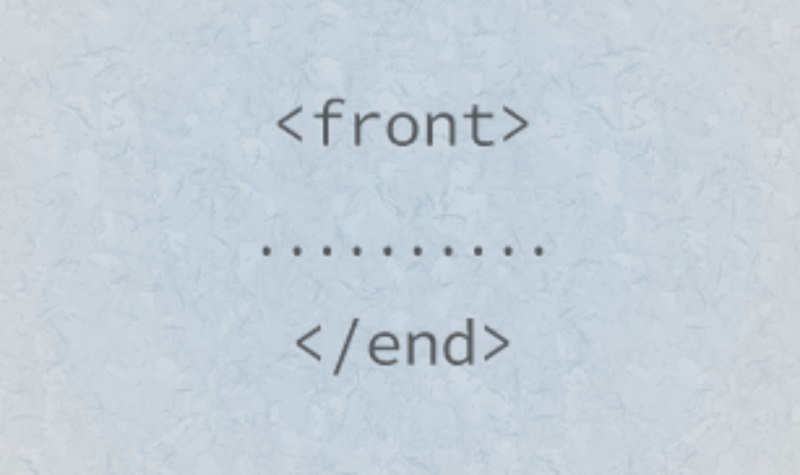 I’m a front-end developer at heart. I may have a good understanding of PHP, (I actually code with it every day), but I love everything about front-end design more than back-end code. When starting a new project I like to keep a few things in mind so I know what’s currently happening and what will come next. Staying like this ensures I know where to turn or what to do when problems or troublesome situations arise. The first thing to remember is that, unlike back-end code, front-end code doesn’t have nearly as many security concerns. If you happen to push a change to the way the buttons look in the CSS file, it isn’t going to break the application or website to the point of some evil hacker being able to get into your database and destroy everything your users have put time and effort into. Your change will just look bad. The above statement is referring to the pure CSS. Security should always be a concern to some degree, however with CSS and HTML files, it’s not going to bring your app to its knees if you mess up the URL of a background image. If you happen to mess up the way the files are included or put in the wrong file path causing an error, then that’s a different matter entirely. So basically you have some room to breath when it comes to making mistakes, which I’ll admit is breathing room I’m sometimes glad to have. I’ve written before about modular code, (in fact my last post was about it), and the benefits of using the reusable mindset. Frameworks like Bootstrap and Foudation live off the principal of having front-end code that’s structured like the back-end. I’ve mentioned Bootstrap and Foudation above and there are many more available, some are just as advanced and others more basic. Whatever framework you choose in the end should be the one that best suits your needs. Are you a blogger, designer, developer or someone else entirely? Each framework is going to have its own strengths and weaknesses. Choosing one that’s appropriate for the job at hand is vital so make sure you know what each one provides. Another thing to consider is that you might not even need a framework. Consider whether or not you’ll need to be able to scale dramatically. Read the section below if your unsure or like to custom code everything. Sometimes it’s better to make your own code base from scratch. I used to be against anything that remotely resembled a framework and was a apprehensive of adding plugins. Over time I’ve realise that when you get passed your biased opinions on things like plugins or themes, you start to open up your brain to better ideas. All of the tools and resources available have a purpose in some way or another. However there are times when it’s just easier to create something yourself. Chris Coyier actually put up a screencast a while back about rolling your own grid system from scratch. I’m a big believer in using things to make life easier. If you do that every single time you’re not going to get very far in the long run. However, using tools to aid your process is never a bad thing. Seeking advice is a great way to get a good idea on the quality of your work. So long as you ask the right people that is. For example, if you ask the server guy to review your jQuery plugin, he might not know enough to give you any value. However asking your colleague who just so happens to be a front-end developer is much better idea. So whether your making the next big product or running the worlds most amazing new startup, it’s best to get sound advice from people you respect and trust. Choose people who are experienced at what you’re trying to achieve, but most of all choose people who you know are going to tell you the truth.